Work from Bjørås' group published in "Cell Report"
An article from Magnar Bjørås "Cellular responses to DNA damage" group at the Department of Microbiology has recently (December 29th) been published in Cell Report (journal impact factor 8.4). The paper is entitled "Synergistic Actions of Ogg1 and Mutyh DNA Glycosylases Modulate Anxiety-like Behavior in Mice. 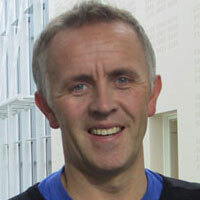 Monica D. Bjørge, Gunn A. Hildrestrand and Katja Scheffler are co-first authors, while Bjørås (photo) is senior author.